Several promising neurotechnology firms and key industry figures will present at the 2016 Neurotech Leaders Forum. The 16th annual event will take place October 24-25 in San Francisco, presented by Neurotech Reports. Keynote speaker at this year’s event on October 24 will be Doug Weber, who serves as program manager for DARPA’s Biological Technologies Office. 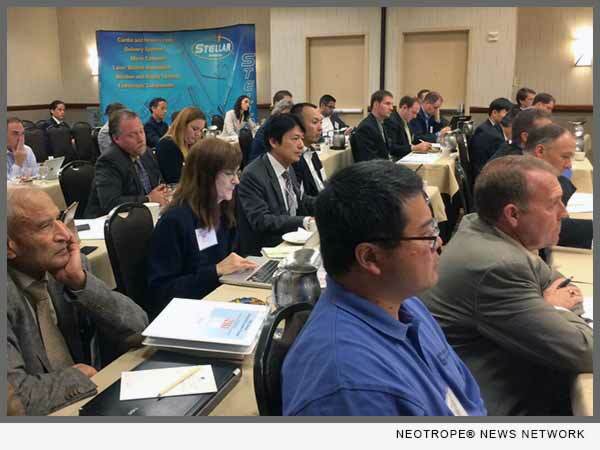 eNewsChannels NEWS: SAN FRANCISCO, Calif. — Several promising neurotechnology firms and key industry figures will present at the 2016 Neurotech Leaders Forum. The 16th annual event will take place October 24-25 in San Francisco, presented by Neurotech Reports. Keynote speaker at this year’s event on October 24 will be Doug Weber, who serves as program manager for DARPA’s Biological Technologies Office. Prior to joining DARPA, Weber was an associate professor of bioengineering at the University of Pittsburgh. He received his Ph.D. in bioengineering at Arizona State University. On October 25, Adam Roth, Director of Business Development at Galvani Bioelectronics, will speak on the topic of bioelectronic medicine. Galvani was formed earlier this year as a joint venture between Google’s Verily Life Sciences Unit and pharmaceutical giant GSK. Other presenters at this year’s conference are Jason Richey, president of LivaNova’s neuromodulation unit, Jeff Kramer, vice president of research at St. Jude Medical Neuromodulation, David Hankin, CEO of the Alfred Mann Foundation, Frank McEachern, CEO of MicroTransponder, Inc., Aaron Kaluszka, research engineer at Lumos Labs, and Gaurav Sharma, principal research scientist at Battelle. Neurotech entrepreneurs and startups presenting at the conference include Milton Morris, CEO of NeuSpera Medical, Roy Katz, vice-president at BlueWind Medical, Brian Blischak, president of Nexeon MedSystems, Howard Leonhardt, CEO of CerebraCell, and Chris Czura, CSO of Sanguistat. The conference moves to a new location this year, the Embassy Suites San Francisco Airport-Waterfront in Burlingame, Calif. Platinum Sponsor at this year’s conference will be Micro Systems Technologies. Cirtec Medical is the Gold Sponsor. Stellar Technologies is the Silver Sponsor. For more information on the Neurotech Leaders Forum, contact Neurotech Reports at 415-546-1259. The preliminary agenda is online at: http://www.neurotechreports.com/pages/nlfagenda.html. Overview of the 2016 Neurotech Leaders Forum: http://neurotechreports.com/pages/leadersforum.html.